Have you been inspired to give the Gift of Movement this Christmas? I wasn’t sure about gifting a subscription and how it might be received. I’ve long enjoyed practicing at home to online classes with favourite teachers, revisiting classes that challenge or inspire me and without my subscription, I wouldn’t have been able to try classes from so many different teachers. Online classes have felt like sanity saviours when I couldn’t get to classes after an extremely busy day. Do subscriptions make a great gift though? 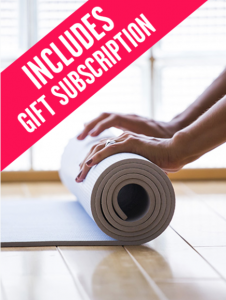 After all, people often say that they love their regular yoga class in their favourite yoga studio or that they can’t imagine using online classes, but earlier this year, I gifted a subscription to a friend. Would my friend love her subscription as much as I do? I knew she was busy and would often have no choice about missing a long-cherished class pressurised by work and family commitments, often needing to travel on yoga days. It turns out the subscription was perfect. I picked a time, I knew she was going away, so she would be able to kick-start her home practice and it wasn’t long before we were chatting about teachers and recommending classes to each other. The stresses and strains of travel were eased, insomnia diminished and desk-bound aches and pains soothed. It turns out the subscription turned out to be so much more than the chance to do a class at home. As Christmas approaches, I keep thinking of other people in my life that a subscription would be perfect for and I find myself re-visiting the MFML store page. Christmas is the perfect time to celebrate both the people and the values we care about. I want to give a gift that reflects what matters, to me as well as kindling joy in the recipient. I don’t want to add to our environmental load, or overburden the recipient with things they simply don’t have the space for. This time of year offers the perfect opportunity to embed new habits and yoga offers the perfect antidote to Christmas’ excesses too! Yoga offers a fantastic way to support teenagers navigate the transition between childhood and adulthood and in dealing with daily social and academic pressures. I think that my teenage niece might quite enjoy finding different ways to move and relax as she moves towards her GCSEs next year. 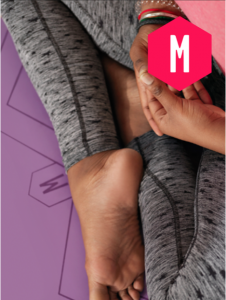 What’s more, as a teenager herself, MFML’s teen yoga teacher really understands the challenges and young people can connect with her through a number of social forums. MFML’s beginners courses and programmes are perfect for those wanting to begin their journey and I have so many friends and family members living abroad, I’m relishing the thought of not having to queue at the post office and of being able to share this experience with them. 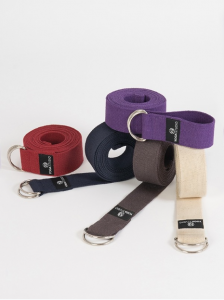 I know that the Basics Yoga Bundle would be perfect for the beginner. With a number of specialist programmes being launched next year, there really will be something for everyone, from chair yoga for the less mobile to post-natal classes for the new mother. And as for me? 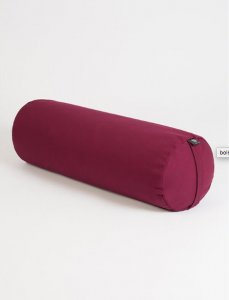 Well I have my eye on a number of MFML goodies that are perfect as stocking fillers, are eco friendly and will amp up my restorative yoga experiences with bolsters, eye pillows and that gorgeous mat! 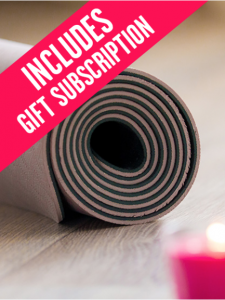 I hope this guide will help you to select the perfect inspirational yoga gift for your loved ones and one which will be remembered throughout the year. 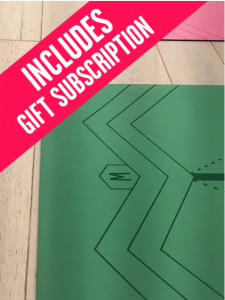 I think this is the perfect gift for almost everyone, this package includes one of MFML’s beautiful eco-friendly alignment mats as well as an annual subscription and is a perfect place to kick start a home practice and as well as the subscription, your loved one will have a gift to open on the big day itself. 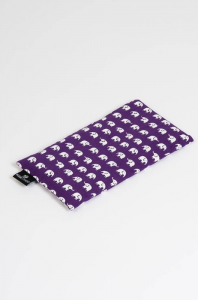 This is a fantastic gift for the committed yogi and one you know already has all the kit. This is the gift of inspiration and connection and is what I opted for, for my friend but I know she has loved it so much she is renewing her subscription forever!! A great one for beginners the combination of a mat and a brick offers great value and is environmentally sound too. 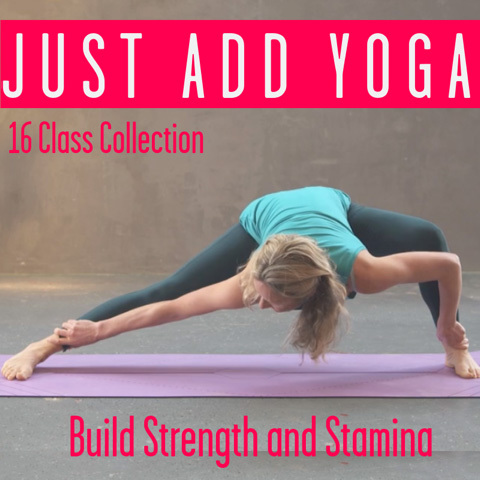 Every yogi will love this all round package and it comes with the perfect props to make every restorative yoga class a five-star experience. Having the props helps the body relax and they are useful in active as well as restorative classes. I have friends who have been so inspired by practicing online with teachers, that they have booked themselves onto a retreat with that teacher. For existing subscribers, why not arrange a 1:1 session with a favourite teacher, give a voucher for a workshop at a yoga studio where they can connect with their teacher and wider community or book a place on a retreat! If the yogi in your life already has a subscription, they would probably love to have some extra props to support their practice.